360 Inspection Services proudly serves clients in Brantford, Ontario offering our exclusive home inspection services, infrared (IR) thermal imaging and mold & indoor air quality testing services to provide you with one of the most comprehensive, fully customize-able home inspection packages available on the market! Call today to book your home inspection services, infrared (IR) thermal imaging and mold & indoor air quality testing in Brantford, Ontario. Our certified, professional home inspection experts will respond quickly and have your customized pre-purchase, pre-listing, home warranty or condominium inspection services booked in no time! Buying a Home in Brantford? Selling Your Home in Brantford? After we complete the on-site inspection, we deliver a professional home inspection report regarded by many of our clients as the most comprehensive home inspection report they've ever received. Getting us to perform a pre-purchase inspection is just the start of a long-term commitment we make to all of our local Brantford, Ontario clients. Many of our customers also follow us on social media such as our Facebook, Twitter and Google+ pages, as well as our blog, which provides helpful information about owning a home, tips and trends, and seasonal maintenance. With each one of our home inspection services you will also receive our exclusive set of additional services offered in our 360ELITE Inspection Support Plan - the cost? Nothing! We offer this as an extended service for absolutely FREE. You will not find this level of commitment or confidence in any other ​home inspection company in Brantford, Ontario. 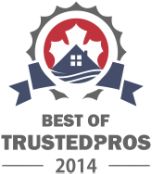 360 Inspection Services is dedicated to delivering the best home inspection services throughout Brantford, Ontario.